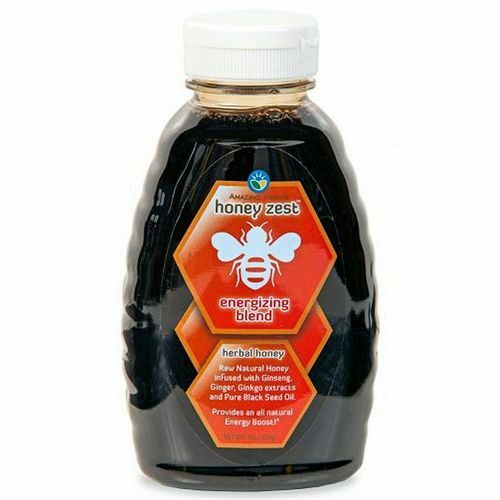 HoneyZest Energizing Honey from Amazing Herbs is a combination of raw honey, pure black seed oil, hyssop. chamomile and thyme which can be added to anything from tea to energy shakes for a great taste. Ingredients: 100% Pure Black Seed Oil, Hyssop, Chamomile, Thyme and Raw Natural Honey. Recommended Use: Take as needed.